An oil spill from Royal Dutch Shell's offshore Brutus platform has released 2, 100 barrels of crude into the U.S. Gulf of Mexico. 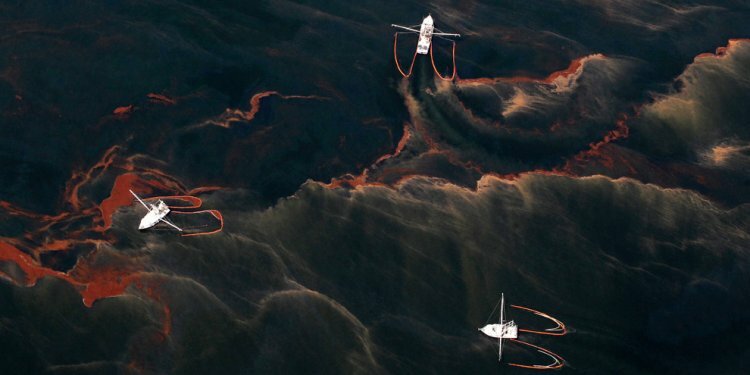 The leak—roughly 88, 200 gallons—created a visible 2 mile by 13 mile oil slick when you look at the ocean about 97 miles south of Port Fourchon, Louisiana, in line with the U.S. Bureau of protection and ecological Enforcement. Officials said that the accident happened near Shell’s Glider industry, an underwater pipeline system that connects four subsea oil wells into Brutus platform, which floats together with water with a depth of 2, 900 feet. The coast-guard said that the way to obtain the discharge is apparently guaranteed. A cleanup staff was sent. "there aren't any drilling activities at Brutus, which is not a well regulate incident, " the company said. "Shell is identifying the precise cause of the production by examining the subsea equipment and flowlines inside Glider area. The company has made all proper regulatory notifications and mobilized response vessels, including plane, in case the discharge is recoverable. There are not any accidents." Citing business trade journals, Reuters reported that the Brutus system began functions 15 years ago and ended up being fashioned with top ability of 100, 000 drums of oil and 150 million cubic feet (4.25 million cubic yards) of gas each day. Shell said that "no release is appropriate, and safety remains our concern even as we answer this incident." “The very last thing the gulf coast of florida needs is another oil spill, " Vicky Wyatt, a Greenpeace campaigner, told EcoWatch. "The coal and oil business’s business-as-usual mindset devastates communities, environmental surroundings, and our environment. Make no mistake, the greater fossil gas infrastructure we've, the greater spills and leakages we’ll see. This terrible situation must visited a conclusion. President Obama can place these leaks, spills, and environment disasters behind united states by preventing brand-new leases within the Gulf and Arctic. It's past time to keep it inside surface permanently." "This newest offshore oil disaster again shows the built-in problems of fossil fuels, as well as the irresponsibility of permitting new oil drilling when you look at the Gulf of Mexico even as these spills still take place, " Marc Yaggi, executive manager of Waterkeeper Alliance, stated.